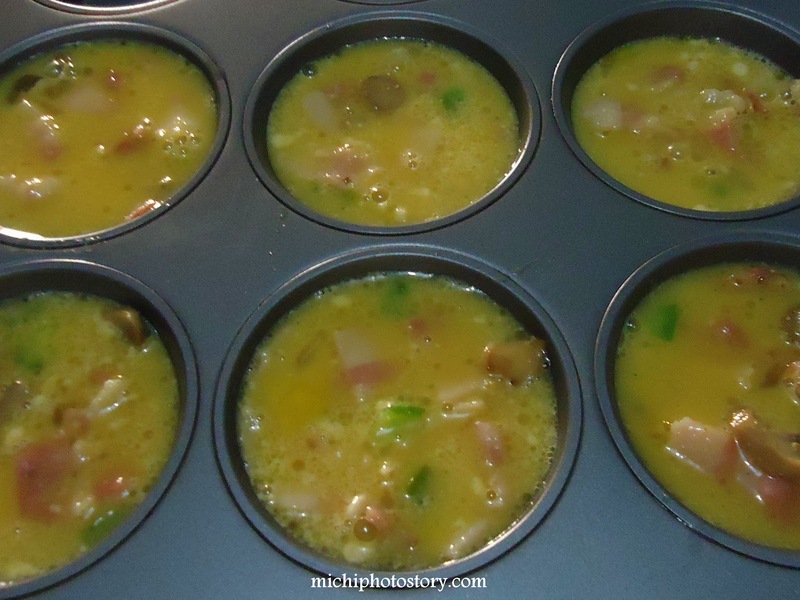 I mentioned in my other blog that I’ve been trying to make muffin tray meals, I tried meatloaf muffins before and I was so happy with the result so last weekend I tried breakfast muffin omelet. 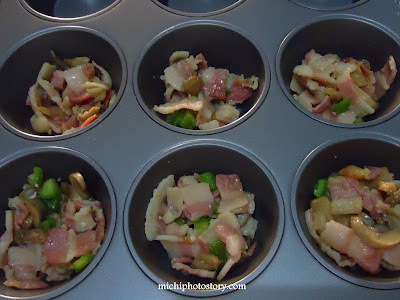 I used bacon, mushroom and bell pepper instead of Italian sausage and broccoli. 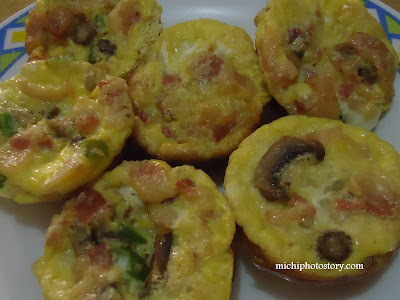 This is another easy recipe that you can prepare for breakfast and school snacks. Next time I will add cheese. So yummy! I want to try this soon! I will definitely try to make this one of these days.